The outside of St John’s Wood has been rather spoiled by the construction of a giant apartment block on top of the original modest and charming (now Grade II listed) building*. 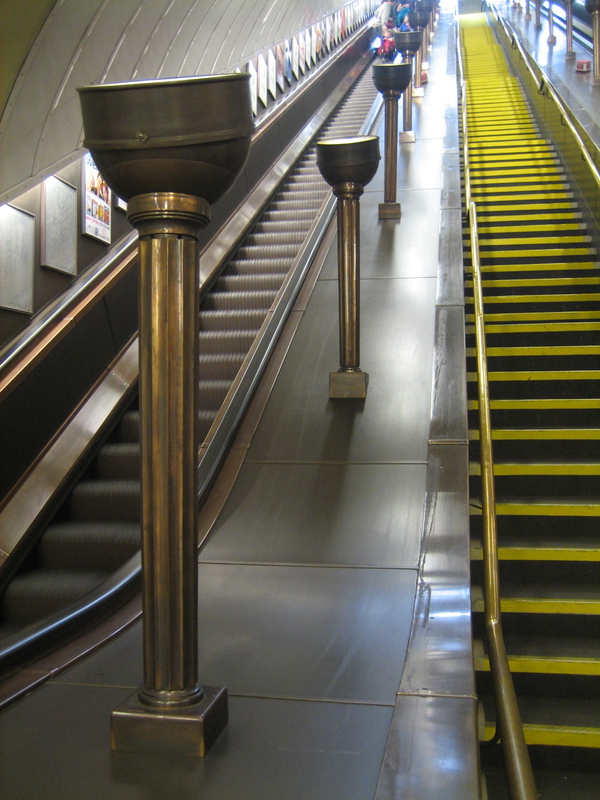 The uplighters march up the escalators like a phalanx of benevolent brass-bound colonels, keeping you in line while guiding you safely and silently to your destination. They have a simple elegance that somehow both calms and cools you down. 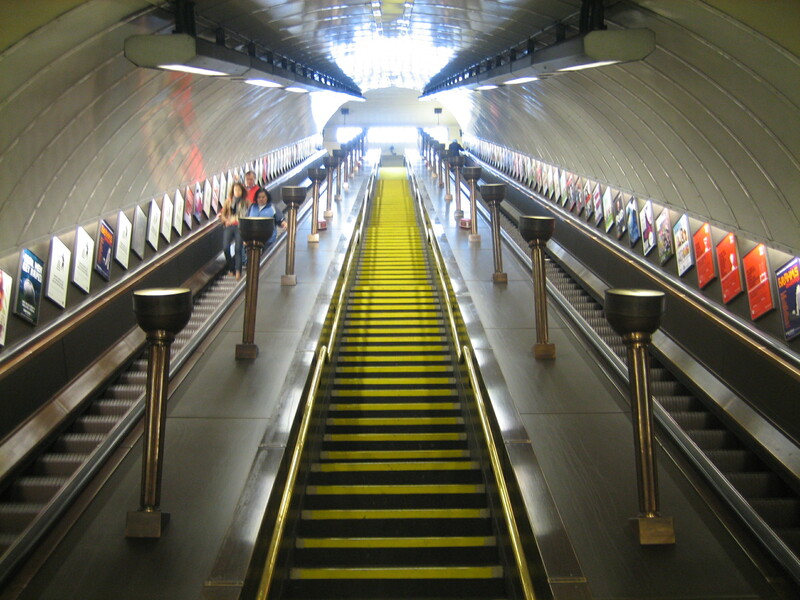 I like the idea of having rich, dark furnishings inside an Underground station. As well as giving the place more beauty, they offset all the necessary but sometimes overbearing bright walls and ceilings. St John’s Wood station opened in 1939. I think – I hope – these uplighters date from the same time. 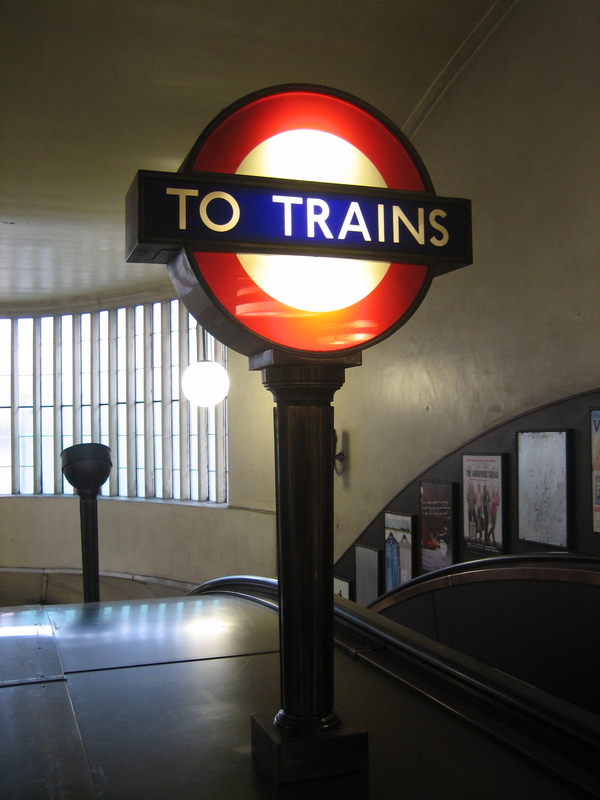 About 35 years ago I bought a similar escalator uplight from London Transport – I don’t know which station it came from. Any suggestions as to how I could sell it?